Top 10 Foodie Christmas Gift Ideas - Hartke Is Online! Making a List? Checking it Twice? Here is the Hartke is Online! Gift Giving Guide for 2009. Whatever holiday you celebrate, even a birthday, you will find some novel ideas here, for the foodie in your life. And, don’t forget about hostess gifts, these would be perfect throughout the new year! As an avid reader, topping my gift idea list this year is a number of books– collectible, practical and even one that’s downloadable! If your foodie doesn’t yet have the bestselling Nourishing Traditions cookbook, read no further. If your friend or loved one has an interest in alternative health and wellness, check out the Fourfold Path to Healing. If you know someone not at the top of their game because of a physical ailment, Performance without Pain is the perfect gift and they will forever thank you. 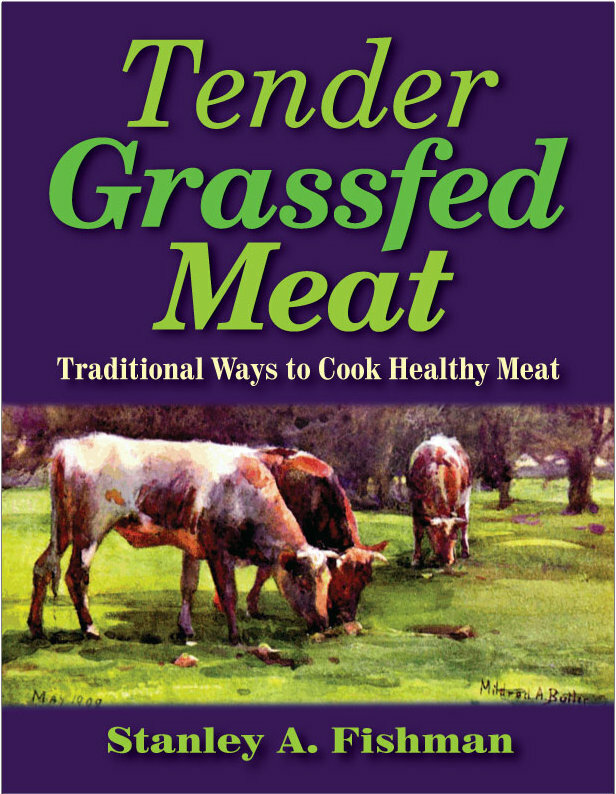 This book is a must for all those just beginning to source local meats, whether you are a homemaker or a professional chef this book is for you. 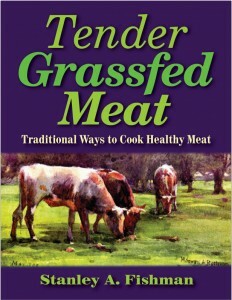 Grassfed meats must be cooked much different than conventional meats. Take it from me, this is indispensable to anyone trying to go sustainable with their diet. Great marinades, ethnic and traditional meat course recipes, even some foolproof side dishes. For the Traveler, a handy Healthy Eats Here! a sustainable dining guide. This eBook is brand new and for those who buy it by December 16, 2009 at 11:59pm, they will get 15% discount and free quarterly updates! Here are some provocative Food Documentaries on DVD for your favorite film buff. These are jaw dropping, eye opening food flicks, a great way to inspire a new way of thinking about nutrition. The first is InGREEDients (get two DVD’s for the price of 1, just put WAPF in the Customer ID box). This new film was previewed at the Wise Traditions 2009 conference (here is my interview with the producer). The second is Polycultures, a riveting film made in Ohio about sustainable agriculture movement there. Third is Food Fight, which tells the history of early local food movement and one of its instigators, Alice Waters and her restaurant Chez Panisse. And finally, Fresh, which we recently screened in Oakton, VA to a over capacity crowd of 300+. By buying these as gifts, you are helping these independent filmmakers to bring this message of quality food from small farms to a broader audience. And, you will make it possible for them to produce new films. Family Farm Friendly Wall Calendars, from Sandrine Hahn, WAPF Chapter leader in San Francisco has made some lovely calendars with striking photos of small farms. Great for hanging in your farm store or kitchen. See the images on the YouTube video below. Delicious Raw Nut Butters by Wilderness Family Naturals, who follow Sally Fallon’s method of soaking and dehydrating before making them into a nut butter. I bought some of these at the WAPF conference and they are the best nut butters I have ever tasted! I recommend putting together a gift basket with an assortment of the different butters. Gourmet Papua New Guinea Organic Vanilla Beans. In a grocery store you’d pay a fortune for these, but a superseller on ebay has an incredible product and great price. For the baker, smoothie and ice cream maker in your life, these will go over huge! Pure Indian Foods Spiced Grassfed Ghee (clarified butter) from an artisan family owned business, prepared using ancient Ayurvedic methods. I tasted these at Wise Traditions 2009, and they are just wonderful! Here are the different flavors and the ingredients: 1) Digestive Ghee: Cardamom, Cinnamon, Ginger, 2) Italian Ghee: Oregano, Thyme, Rosemary, 3) Herbs de Provence: Savory, Thyme, Rosemary, Basil, Tarragon, Lavender Flowers, 4) Niter Kebbeh: Cardamom, Cinnamon, Coriander, Cumin, Turmeric, Nutmeg, 5) Indian Dessert: Fennel, Cardamom, Saffron, 6) Garlic Ghee: Garlic. Wouldn’t it be a lovely gift to make some homemade bread, muffins and tuck a couple of these in a basket with them? Menus by Mail Easy, smeezy recipes and menu plans prepared for you by the sensational Los Angeles real food blogger, Cheeseslave. A Weston A. Price Foundation chapter leader in her community, she has lots of helpful ideas on how to get more nutrient dense foods on the family table, with your family LOVING it, of course. Popular mommy food blogger, Kelly the Kitchen Kop presents, Real Food Ingredient Guide. Kelly is a Michigan mom and food blogger and has put together an affordable ingredient “detective manual.” Let the Kitchen Kop teach you how to investigate labels and bring home the right food for your pantry shelves. Nourished Kitchen blog offers Recipe Cards, on glossy, water resistant stock, these lovely full-color cards feature recipes designed to help you incorporate more farm fresh foods into your family meals. Blogger Jenny McGruther is also a farm market manager, and really knows her stuff. Foodbuzz.com selected Nourished Kitchen as one of their Top Green Blogs this year, and when you see these, you will know why–they are first class. Activist T Shirts by Farm to Consumer Legal Defense Fund, for the raw milk radicals in your family tree! Just think of the impact on your community of sporting these important food freedom T’s! All proceeds benefit the Fund, which comes to the rescue of farmers who need legal aid. Legalize Raw Milk Farmers Market Totes, Tshirts Designed by two RFM bloggers, these make a cool statement. MilkMade recycles antique milk bottle caps into conversation starting jewelry. Display your passion for dairy without wearing a bumper sticker on your chest! If you and yours have decided to donate your gift money here are two suggestions for you. Jeffrey Smith, founder of The Institute for Responsible Technology which spearheads a critically important No GMO Campaign just found out they will get matching grants for up to $10,000 for all donations received through midnight Dec 25. After hearing Jeffrey speak at the prison soy press conference I became a true believer in his cause. Click on this link for more details on how to donate. Farm-to-Consumer Foundation is another very worthy educational and charitable fund. This is the group that came to the aid of the bravely independent raw dairyman Mark Nolt after several financially devastating farm raids by the Pennsylvania dairy regulators. The Foundation also holds tele-seminars to help dairy farmers learn how to move toward a more sustainable farm model, and produce a safe product that can be sold direct to consumers. You’ll find more sustainable gift ideas on Thrifty and Organic blog, Kelly the Kitchen Kop has two blog posts with ideas, 5 Real Food Gift Ideas and 3 More Real Food Christmas Gift Ideas. See also, my resources page for herbs and teas which make lovely gifts for the culinary set. That’s a great list! For great food flicks, I also highly recommend Fathead, especially for friends and family who aren’t too familiar with nourishing foods. Fathead, though not perfect, did delve into the idea that saturated fats are actually good for us, and it’s the grains and vegetable oil that are truly damaging. There were some great graphics and interviews with experts (like Sally Fallon!) to illustrate this too. It’s a great gift for people who are interested in getting healthy, but not quite ready to dive into traditional foods. .-= Elizabeth Walling´s last blog ..My Version of Homemade Raw Milk Kefir =-. I believe all healthy eating habits are broken during the holidays. Organic can be expensive but not when you do some research on prices online especially in major shopping sites such as onewayshopping.com. A quick price comparison can save you a few bucks. Wow, great list! Another great option for a foodie on your list is Sustainable Sourcing https://secure.sustainablesourcing.com. I found a great gift set of Himalayan sea salt and organic peppercorns for my food/cook loving husband. I think he is going to love it! I love that it is a zero carbon gift and they donate to environmental causes! 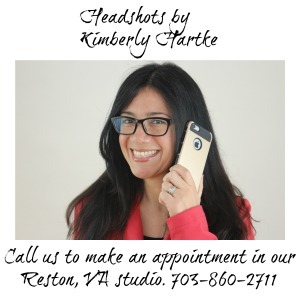 What a cute way to do a post, thanks Kimberly! .-= Kelly the Kitchen Kop´s last blog ..New Giveaway: Win a 1-Year Recipe Card Subscription from Jenny at Nourished Kitchen! ($78 Value) =-. Thanks you all for submitting other gift suggestions, maybe we should call this a gift giving blog carnival! Keep those ideas flowing…anyone else got one? that is a wonderful list. I love it. I should have read those earlier. I like to find cheap and unique gifts . I happend to find the DIsney fleece hat and glove set sell at $5. I immediately ordered one for my little brother.After 5 minutes when I finished my order, the lovely set in blue color has sold out. I am feel very lucky to get the news from http://www.followsales.com/ early, or I will miss the deal, and miss a better and cheaper gift. That’s a good list. It will definitely help me and other who have foodies that we are shopping for. I believe yours is the only Christmas gift giving guide I’ve found for foodies. 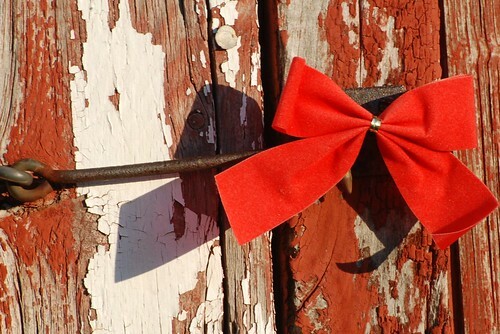 .-= Darvin´s last blog ..Romantic Christmas Gifts for Men =-.